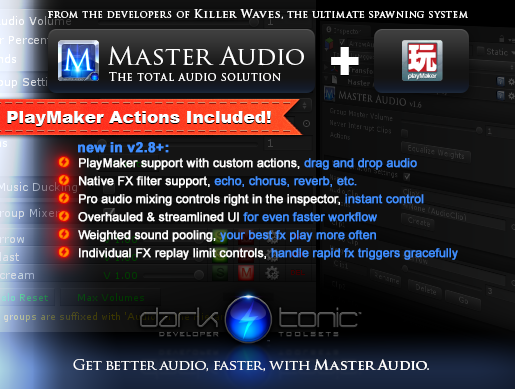 Dark Tonic Games Studio: Dark Tonic plugins now include PlayMaker support! Dark Tonic plugins now include PlayMaker support! 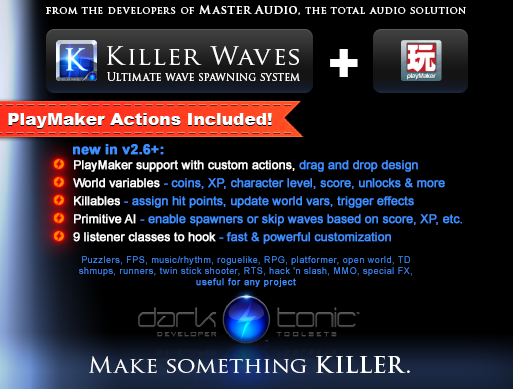 I'm a little late in posting this, as support has been in for about a month now, but both Master Audio and Killer Waves include multiple PlayMaker actions. Unity development keeps getting faster and easier!